Construction is on track for a new $9 million outpatient center in Urbana by a Marysville medical group and a grand opening is likely by late April or early May. Memorial Health’s outpatient medical center will be located at 1958 E. U.S. 36 and will house urgent care, lab testing services, rotating physician specialists, expanded primary care and more. The roughly 30,000-square-foot facility is expected to create 12 new permanent jobs and retain 17 jobs in Urbana. Melanie Ziegler, a spokeswoman for the company, said the project is on schedule and no delays are anticipated. The medical group will also host a groundbreaking open house event and ceremony at Memorial Hospital in Marysville as part of a separate project. The company is undergoing a $50 million expansion and renovation of Memorial Hospital. That project involves construction of two buildings, both an inpatient pavilion and an outpatient pavilion on the main campus at 500 London Ave. in Marysville. An expansion at an Urbana manufacturing firm will allow the company to boost sales, add more than 20 new jobs and boost its payroll by more than $800,000. Weidmann Electrical Technology Inc. will move ahead with an expansion that will add about 2,600 square feet to its facility at 700 W. Court St. in Urbana. The company is also boosting its payroll and spending at least $500,000 in new equipment as part of an expansion valued at around $2.7 million, said Marcia Bailey, economic development coordinator for the Champaign Economic Partnership. Weidmann, a Swiss-based company, produces specialty insulation for transformers. The expansion is expected to be complete by March next year. The company currently has about 140 workers. Documents filed with local government entities show the company will add 20 workers as part of the expansion, but the manufacturer hired four additional workers just before making the announcement, for a total of 24 workers, Hunter said. The new jobs will include a variety of position, from forklift operators to maintenance technicians, as well as line workers and a safety coordinator. The company will add a roughly $500,000 piece of equipment used to cut the paper produced at the company, in addition to the expansion and new jobs, Hunter said. The company’s current payroll is a little more than $9 million and it will add about $835,000 as part of the expansion, Bailey said. Local school districts and the city of Urbana approved a Community Reinvestment Area agreement that will provide a 100-percent property tax abatement for 15 years for the addition to the facility, Bailey said. The company will continue to pay its full share of taxes on its existing payroll and property, but will receive an abatement for the expansion. The city and Urbana school district will split income taxes from the additional payroll evenly, she said. OhioMeansJobs Champaign County will also work with the company to provide training for the existing employees who need additional training to operate the new equipment, Bailey said. The company’s growth has been a bright spot in Champaign County’s economy, Bailey said. Weidmann initially took a leap of faith and pledged to provide jobs for 75 workers when the business moved into the former Neenah Paper Inc. site on West Court Street. Neenah had closed a paper mill at the site in 2007, leaving about 180 workers without jobs. The property was a brownfield site, she said, and Weidmann’s decision to invest in the property reopened a site that could have become an eyesore. Along with the Weidmann announcement, the city also reached an agreement with a local developer this month to clean up the former Q3 and Johnson Manufacturing site that’s been vacant since 2008. True Inspection Services, an Urbana-based developer, will clean up and redevelop the 20-acre site at Miami and Beech streets. City leaders have said the redevelopment of that property is expected to take two years and may begin as soon as next month. The Springfield News-Sun provides award-winning coverage of jobs and the economy in Clark and Champaign counties, including stories tracking local unemployment rates and digging into expansion plans at major employers like Honda. ​Demolition and cleanup of the former Q3/JMC Inc. manufacturing site in Urbana is ready to begin – a key step toward preparing the abandoned property for new industrial development and job creation. Urbana Director of Administration Kerry Brugger announced at Tuesday’s Urbana City Council meeting that an agreement has been finalized between the city of Urbana and Urbana-based developer True Inspection Services (TIS), which will direct redevelopment work of the 20-acre site at 605 Miami St. and 200 Beech St. The property, zoned for manufacturing, has been vacant since Q3/JMC ceased operations in 2008. TIS has been awarded a JobsOhio Redevelopment Pilot Program reimbursable grant of $883,947 to help cover the cost of the two-year project, which will involve demolition, environmental remediation, asbestos abatement, removal and disposal of waste, and site preparation. The city gained title to the abandoned property in May and is providing $348,435 in matching funds. TIS is contributing $116,145. Through a separate agreement with the city, Honeywell International Inc. is responsible for cleaning up groundwater contamination in an approximately four-acre section on the west side of the property, which had been used by Grimes Aerospace’s Plastic Research Products business. Honeywell became liable for the cleanup, having acquired Grimes Aerospace. Brugger said that the Honeywell cleanup is targeted to begin in October. Barry Couts, TIS founder and owner, said his company will soon begin advertising for bids for demolition and cleanup of the site. Once cleanup is completed and meets Ohio Environmental Protection Agency VAP cleanup requirements, title to the property will transfer from the city to TIS, Brugger said. TIS will prepare the site for development by a new owner. The Champaign Economic Partnership will work with TIS to market the property for reuse, Marcia Bailey, CEP director, said. “Having a 20-acre greenfield in Urbana that is zoned M-1, for industrial use, will be extremely advantageous for economic growth and job creation in our county.” She added that the CEP will use its established network of local, regional and state contacts to market the property to businesses seeking space to expand or establish operations. Bringing the project to this point has required cooperation of many parties, Bailey said. These include the city, Honeywell, JobsOhio, the Dayton Development Coalition (DDC), TIS, the CEP and the Champaign County Board of Revision, which earlier this year approved transferring the property from the county to the city and directed the county auditor to cancel delinquent taxes on the property. Bailey assisted with the private development agreement between the city and TIS. And last year on behalf of TIS, she wrote an application for the JobsOhio Site Redevelopment Pilot Program grant. JobsOhio was encouraged by the number of community partners involved. “We want to see partners at the table,” said Kristi Clouse, executive director of operations for JobsOhio. “The community has to work together to help us market the site” to attract business development. Using revitalization funds, JobsOhio created the Site Redevelopment Pilot Program to return properties in need of remediation to the commercial development market – and to help make up for a deficit of commercial properties ready for development and business expansion since recovery from the recession. “Ohio didn’t have all the inventory we needed to attract job-creating companies,” she said. “Champaign County didn’t have available inventory for business development and was missing out on job-creation opportunities. And there was this site, right in Urbana, on U.S. 36, already with utilities on site. It has a lot of good attributes to it. Couts founded True Inspection Services in Springfield in 2007 and two years ago relocated to Urbana after redeveloping the vacant former Buckles Motors property at 871 S. Main St., Urbana, where TIS now operates. 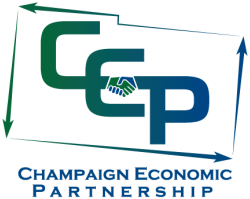 Read about the recent economic development success stories in Champaign County!